Today’s bathrooms are far more than just simple functional rooms, they are spaces for relaxation & rejuvenation. And with the ever-increasing range of innovative surfaces and materials, they no longer have to be boring. 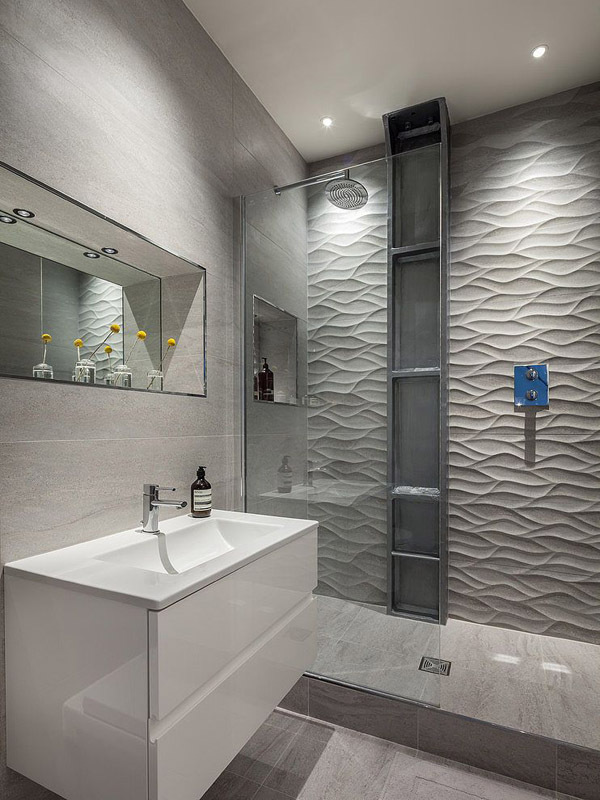 Our designers will walk you through the various different options and styles available today, or should you be a little more daring, then we can create one-off bespoke bathrooms unique to you. Using innovative ideas and pioneering solutions we will convert your existing bathroom or new space into a beautiful bathroom or wet room. Our extensive knowledge of new surface materials to the market means you are no longer confined to the old formula of plastered and tiled walls. But indulge in glass, stone, resins, waterproof wallpaper or even textile surfaces should you wish. All our bathrooms are installed by skilled tradesmen, fitted in accordance with the latest regulations and best building practices. So you can be safe in the knowledge your new bathroom will stand the test of time. Contact our Brighton based design team to see how we can help.